Rangers chairman Dave King insists the club have had a "positive" year despite announcing increased losses of £14.3m for the year up to June 30. The figures - revealed in the Rangers International Football Club plc annual accounts - are double the figures reported 12 months ago. But King says the club are moving in the right direction. Turnover was up by £3.4m to £32.6m while earnings before interest, tax and depreciation rose to £4.2m from just £100,000 over the same period in 2016/17. However, operating expenses also rose from £31.3m to £38.9m. King said in a statement: "On balance, the year to June 30, 2018, was a positive one despite the need for further change to ensure the progression that this club requires both on and off the pitch. "Figures can be reviewed in various ways but the underlying and strong message is that Rangers, as a football club and business, continues to move forward. "It will always be a challenge to meet the demands and expectations of a wonderful support and that is why we continue to invest massively in our infrastructure, team and staff. "It was inevitable, given our dire starting position that vast amounts of money would have to be spent on rebuilding our facilities and the various departments within them. "This is an extremely positive change over such a short period and I cannot thank my fellow directors and other investors enough for their continued support which helps drive our club forward. "Again we have had to reassess our team management structure and this of course means a further spend, from which we did not shrink and neither will we neglect the infrastructure, which accounts for a huge amount of our spending even if this work goes largely unseen. 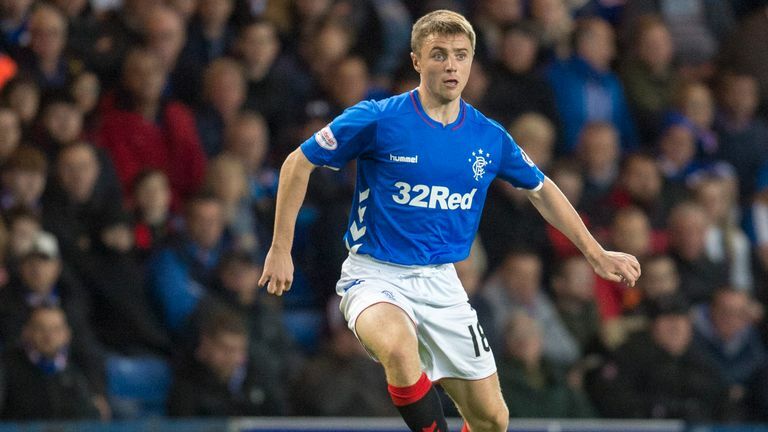 Rangers midfielder Jordan Rossiter says he was delighted to be back in the squad and wants to stay fit for boss Steven Gerrard. "Witnessing the selfless extent to which my colleagues are willing to invest has been truly humbling and the structure of the loans advanced means they can be converted to equity when future share issues are undertaken. "So, when analysing the financial statements under review these loans can be viewed as equity and not third-party debt." Meanwhile, Gers have confirmed their Annual General Meeting will be held in the Clyde Auditorium on Tuesday, November 27, at 10am.